Another wonderful wedding day at the Kenwood Hall Hotel in Sheffield with bride and groom Rhine and Mark. Our bride and groom shared a joke together as we wandered around the grounds of the hotel and stopped to capture this image. From the look of the picture, the expressions on the faces of the bride and groom and our memory of the day, the bride found the joke more funny than the groom, I can't help thinking it might have been about him! 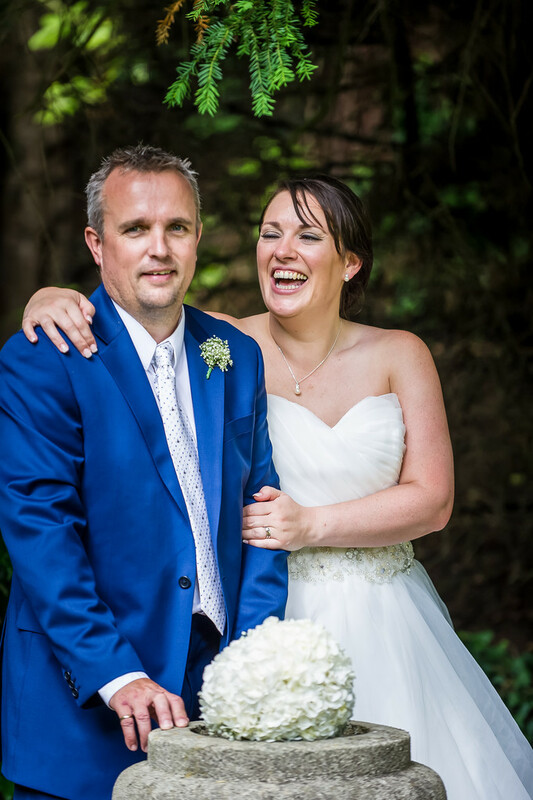 This was the hottest day of the year with constant sunshine from start to finish for their wedding day, how wonderful if all our couples could have such fantastic weather! Kenwood Hall Hotel is a marvellous wedding venue only around a mile from the centre of Sheffield. We sometimes find this hard to believe when we are in amongst the wonderful trees or down by the lake. It is a fantastic place to be and adds a great photography opportunity to the wedding day for any bride and groom. 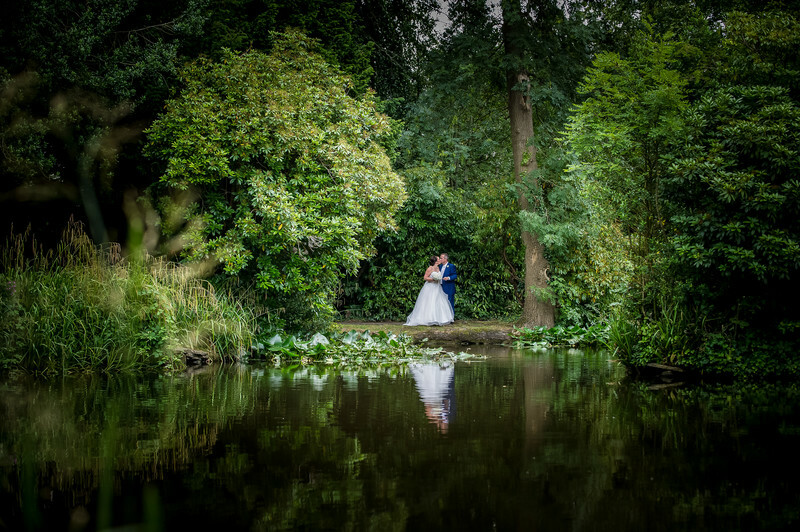 We have taken many photographs down by the lake and as this is such a large body of water there are always new angles to explore to get something a little different for our happy couples.